Installation is taking place during Milan Design Week. Tobacco manufacturer Philip Morris International has unveiled the IQOS world exhibition, which it calls an "artistic expression of the future". 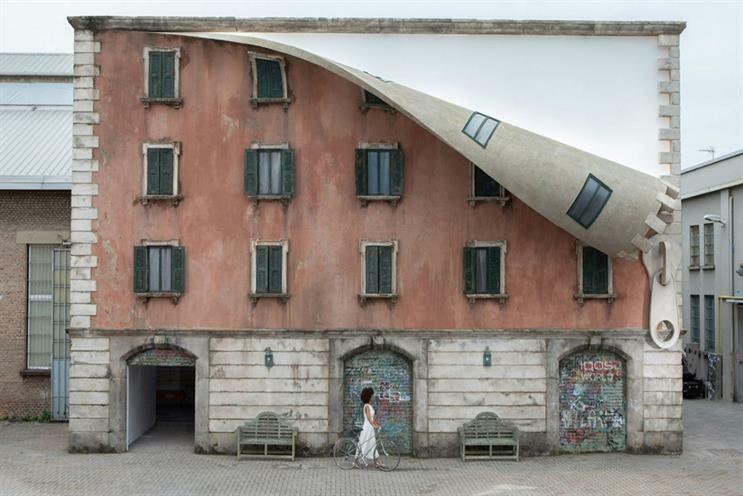 Artwork, brought to life through a collaboration with sculptor Alex Chinneck, features a building "unzipped" and a playful reimagination of what lies behind its facade. Walls and floors are designed as metaphors for the process of transformation, with imagined portals pointing to the concept of a newly imagined future. IQOS is Philip Morris' smoke-free device. Frederic de Wilde, president for EU region at Philip Morris, said: "PMI is leading the transformation of the tobacco industry – one that is based on science and innovation. Our aim is to create a smoke-free future; that is, a future where smoke-free products like IQOS replace cigarettes to the benefit of society. "It is precisely this thought, aimed at revealing an alternative vision of the future, which naturally guided our collaboration between IQOS and Alex Chinneck." The exhibition is being staged at Milan Design Week from 9 to 14 April.